While I love candles, I have some friends and family who are very nervous having candles burning in their home, many of them due to cats or small children. One person whom I know has been really dissapointed about having to get rid of her candles is my mother. She used to have them going constantly growing up, and now she has two cats who are firebugs, making it dangerous for her to have any candles going at all. As I was looking for a cute set for her for Christmas, I was approached by Stapes to review their Sarah Peyton Home 3 Candle LED Fountain, one of the gifts featured on Staple.com’s gift guide. Knowing that my mother would love it, I was excited to review this adorable LED candle set for her! Love candles but feel nervous having them burning around children or pets? 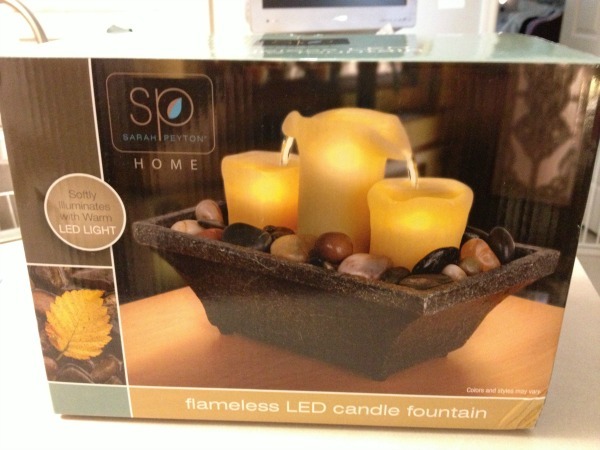 If so, we think you will love the Sarah Peyton Home 3 Candle LED Fountain. This elegant fountain features a dual spotted design around 3 LED candles. To give that perfect tranquil look, this set even includes genuine river rocks to be placed around the base of the candles. 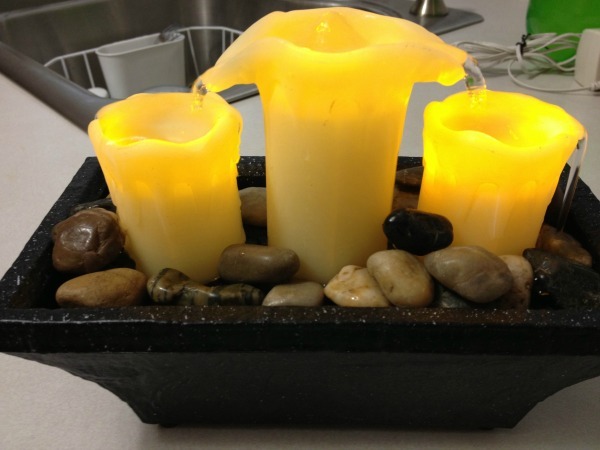 All you have to do is put in 2 – AA batteries in this fountain and a cup or so of water, and you have a calming fountain that can be used just about anywhere, including your bathroom or office! Having not had a fountain in some time, I had no clue what to expect when I first got the Sarah Peyton Home 3 Candle LED Fountain. Once I opened the box, however, I quickly fell in love with this cute candle fountain. With its size, it is perfect for a desk or to have as a small decoration on an endtable, making it perfect for someone like my mom who loves knickknacks. As well, getting it out of the box was really the hardest part. All we had to do to get started was put batteries in the fountain, fill it with a cup of water, and then decorate the base of the candles with river rocks. From there, all we had to do was turn on the power button and we had a tranquil fountain in the living room. Based on our own experience with this cute fountain, I am very happy to give it an A rating! Would you love one of these fountains for your own home or to give as a gift this holiday season? The Sarah Peyton Home 3 Candle LED Fountain is currently available on Staples.com as part of their Holiday Gift Guide, where it is currently selling for $24.95. With this elegant set, you can make just about anyone smile this holiday season! I really like this candle fountain alot! I have seen similar products, but never any that are quite as nice as this! Those candles look great! Glad you shared! I really like it. I burn candles daily and end up with a lot of glass jars.Some get re-used, most recycled. I love the flameless candle. I just saw this same cande on QVC and thought it was the neatest thing! I like how the water makes sound as well as gives light. I also like how it is safe around kids and pets. I love this, it would make a great gift for my aunt. She loves candles but is getting up in age and regular candles are dangerous for her because she forgets to put them out. Beautiful though, love the water feature. I love the idea of this candle. I don't have to worry about setting a place on fire AND it looks great. This is perfect for someone who has kids and wants to have the beauty of a candle, but not the risk of needing to call in the fire department. 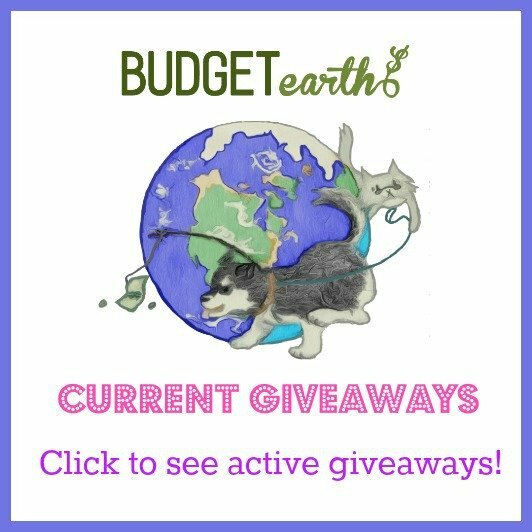 Thanks bunches! Such a pretty fountain! I used to have a fountain in my bedroom but gave it away when I moved to a condo. I think I need a new one as I find it so relaxing and slep-inducing. This would be perfect. LOVE the fountain idea! I am going to try this! I am a candle addict! I really like this candle set. It's so pretty and useful. The fountain part makes it more interesting. It's just gorgeous.